If you are looking for information on the Annie's Old Fashioned Ice Cream and Lemonade franchise business opportunity, Annie's Old Fashioned Ice Cream and Lemonade franchises or Annie's Old Fashioned Ice Cream and Lemonade franchising, then you have come to the right place. An affordable premium opportunity enters a widely sought after niche. 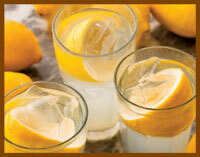 Annie's Old Fashioned offers a distinct quick-serve product geared to succeed in widely diverse retail markets. 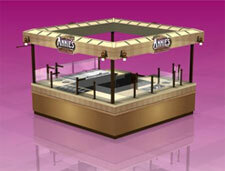 Annie's fresh made ice cream bars are well-margined premium products ideally suited for quick serve retail. With Master Franchise Territories and turn key kiosks with a total investment starting around 69K Annie's truly has an opportunity for almost any investor. Every premium opportunity starts with something great at its core. Annie's Old Fashioned Ice Cream started its first shop in San Antonio with a simple idea as classic as the vanilla ice cream at the center of Annie's trademark fresh, hand-dipped ice cream bars. This uniquely entertaining treat, along with Annie's fresh-squeezed lemonade, serves as the foundation for a dynamic quick-serve retail franchise opportunity. The products are simple, prepared fresh and taste great! Annie's has been in continuous operation for over thirty-one years, we offer products with staying power in the quick-serve food market. Ice cream and other treats are part of a multi-billion-dollar food segment. Ice cream alone is a 13-billion dollar business, with 98% of all Americans eating an average of 24 quarts of ice cream annually. Annie's understands this reality and has created an opportunity that franchisees can greatly benefit from. Annie's serves premium, one-of-a-kind products that are made to order. Our ice cream is made by Blue Bell, considered by many to be the best ice cream in the country. Our chocolate coating is a proprietary blend that is time-tested. Our toppings are the finest available, as we work directly with the manufacturer. Our fresh-squeezed lemonade is simply the best available, made fresh to order using only water, sugar and the finest-quality lemons.